David Nelson Dillehunt is a Communications Specialist for the City of Charlottesville, serving as Broadcast Director for the local PEG stations. He originally joined the Office of Communications as a consultant in October 2005. Dillehunt graduated from Albemarle High School in 2002, from CATEC in 2003, and received a BA in Communications from Southern New Hampshire University. He incorporated his independent video production company, DND Films, in March 2003. 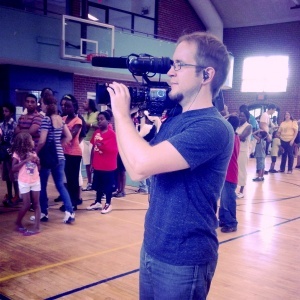 In the Office of Communications, Dillehunt serves as an editor, videographer, and director of television programming for Charlottesville's Own TV10. He is responsible for broadcasting nearly all meetings originating out of City Council Chambers, including special events and forums, and the annual Virginia Festival of the Book. He also serves as a Senior Producer at Charlottesville Public Access Television, where he maintains the official website and directs numerous programs. This page was last edited on 2 January 2018, at 23:55.